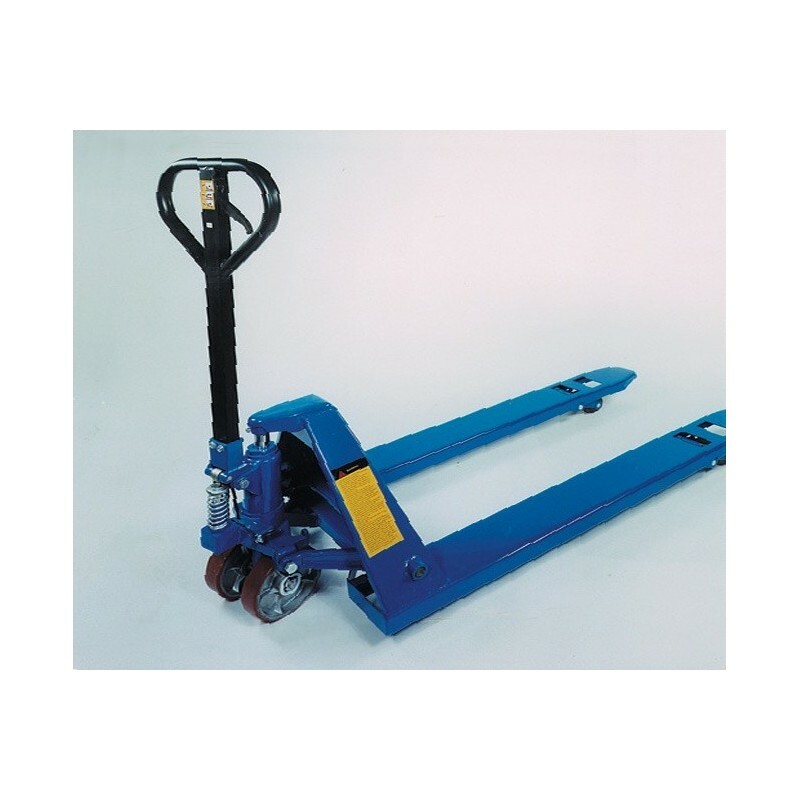 This high quality Pallet Jack is made of heavy gauge steel construction, with dropped forged fork arms that provide high strength and durability. Foot and hand controls provide easy operation. The pallet jack also features a speed lowering valve which can adjust the descent speed freely, as well as a two hundred degree steering area for added maneuverability. High quality wheels and long life lubricated bearings with dust proof caps provide trouble-free service. Total lift height H2 (in.) 7-1/2"
Lowered fork height H1 (in.) 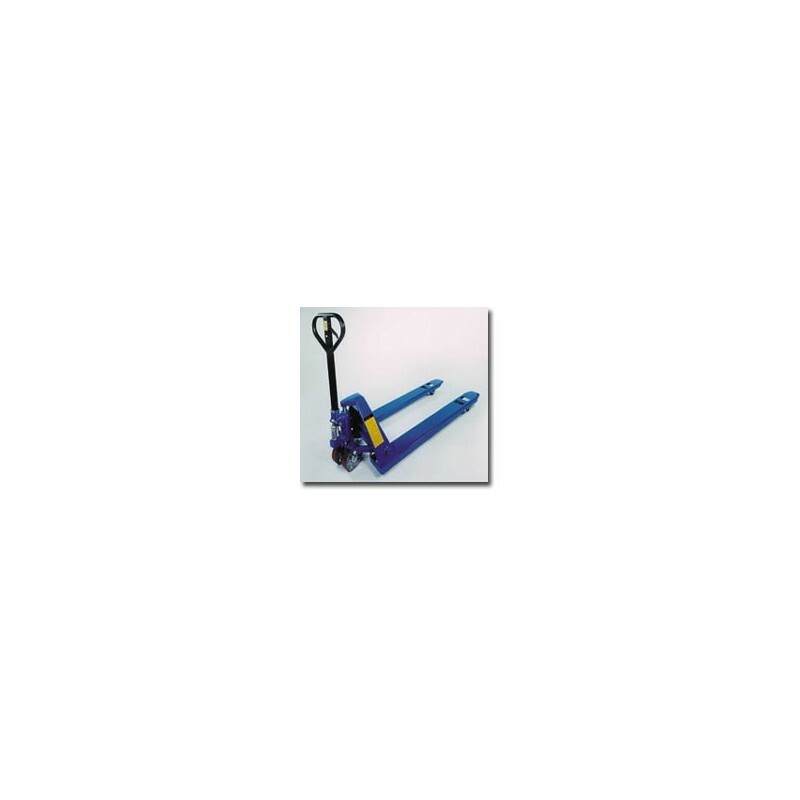 2-3/4"
Height of handles H3 (in.) 20-3/8"
Width over the forks W(in.) 27" / 6-1/4"
Fork wheel B (in.) 3-5/8" / 3"